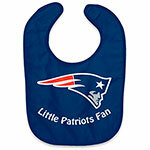 This practical yet stylish bib will protect your baby's clothes with the pride of the Red Sox. Red color with red trim and velcro closure in back. One size fits most. 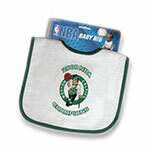 Machine washable terry velour, 100% cotton back. 100% polyester front. 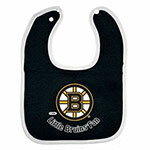 For your little Boston Red Sox fan. Officially licensed by MLB.